In With a Little Help from Friends and Strangers, I made some suggestions about how to effectively ask for help with examples from social media and Stack Exchange. I included making your question specific, identifying the people with pertinent knowledge and not expecting others to do the work for you. How much can and should you expect from friends and volunteers? 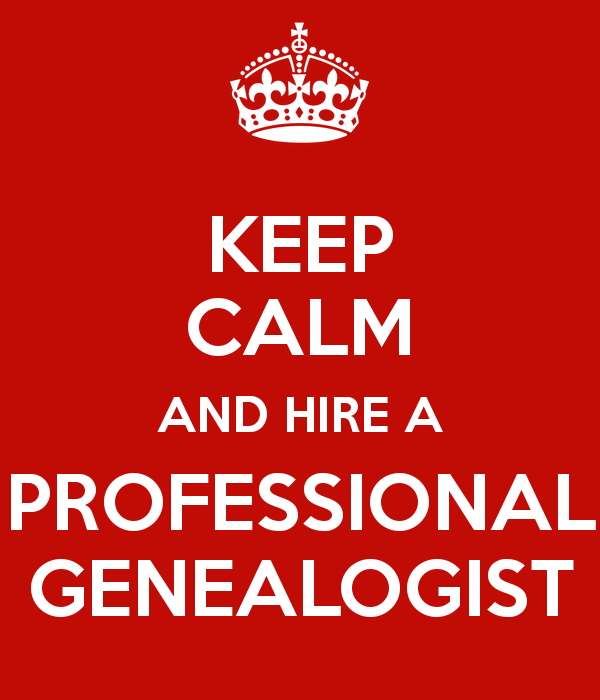 When you need someone with particular expertise to spend time on your question, it may be time to hire a professional genealogist. Making your question specific whilst providing enough information will help the professional work efficiently, giving you more value for your money. Consider practicing asking directed questions with friends before approaching a professional. Look at the professional genealogist’s qualifications and areas of expertise, in the detail of listings with professional membership organisations such as the Association of Professional Genealogists. The one time you can expect someone to do the work for you is when you have paid them. Please pay a fair rate that is commensurate with the professional’s expertise and time spent on your question.